What is the role of the cardiologist in this envisioned new world order? In fact, what is the role of any medical specialist – whose emphasis (and reimbursement) has historically been tied to secondary prevention, improving survival for patients diagnosed with CAD, procedural-based treatments, and on-going management of chronic conditions – in a system being designed to identify vulnerable groups, emphasize primary prevention, lessen demand, decrease procedures and allocate services effectively to improve health and reduce costs? While this may appear to be a shift in emphasis for the cardiologist from secondary to primary prevention, is it really? And what of the dominant role of the primary care practitioner (PCP) in this model; what role does the cardiac specialist play? What is PHM? Presently, there are more questions about PHM than answers. PHM is not easy to define as it brings together an increasingly disparate population, rapidly evolving healthcare system, and both public and social/environmental health issues. It has been suggested that what it really means is getting the private health system to function more like a public health system, and frankly, no private healthcare system (or physician practice) is quite prepared for that. Further, social/environmental determinants – housing, employment, transportation, education, culture, et al – play a significant role. These factors are even further from the expertise of the private healthcare system or private practitioner. The ACC Responds. In recognition of the trend towards PHM, the American College of Cardiology (ACC) has established a Population Health and Health Promotion Committee to formulate policy on primary prevention and prioritize PHM-based activities within the ACC and with outside groups. As was stated, this is an effort to “turn off the faucet instead of mopping the floor.” A laudable goal and an essential pursuit for the ACC. Consolidation and Alignment – Healthcare providers are consolidating at a higher rate to effect efficiencies, achieve economies of scale, and control large patient populations for purposes of risk-based managed care contracting. The unaligned, unaffiliated and independent players are disadvantaged. Cardiologist employment by provider systems and integration into larger groups, single and multiple-specialty, will continue and specifically supports PHM goals and activities. 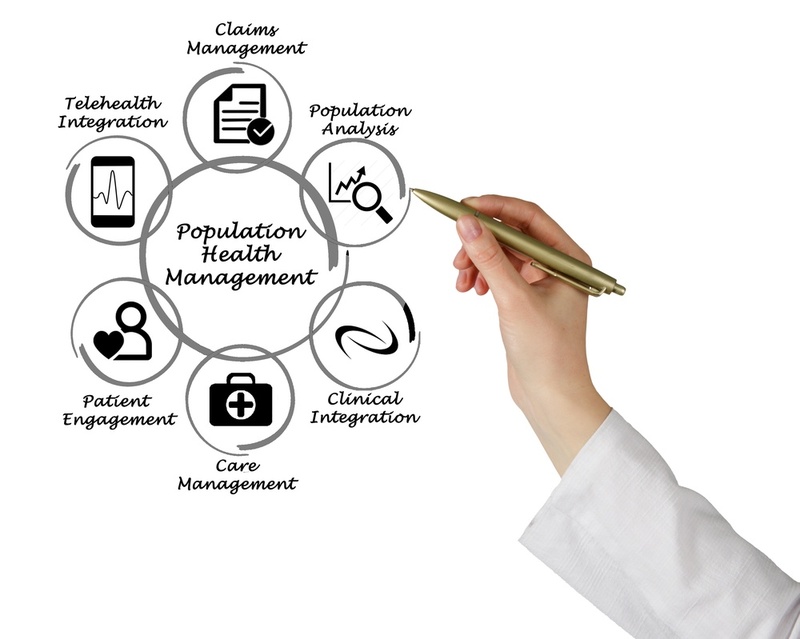 Systems of Care Management – PHM favors tightly coordinated systems of care management across the continuum. The PCP is the focal point of care management, through ACO’s, medical homes and the like. Identification of Vulnerable Populations – A key goal is to identify at-risk populations, as early in the disease process as possible, for coordinated management to both enhance outcomes and manage total costs. The rise of so-called “big data” will allow systems to drill-down into healthcare records to identify high priority issues that will need to be addressed in at-risk populations to positively impact outcomes and costs. This is where social/environmental determinants will play a critical role. Financial incentives – PHM will only succeed if financial incentives are realigned and reimbursement is proportionately distributed across the spectrum of providers within a system of care. The system must be designed to incentivize provision of the best care, at the appropriate time, in the lowest cost setting, in order to succeed. Teams – PHM only succeeds when healthcare is coordinated through teams of practitioners representing all providers and disciplines within the system. The CV Multidisciplinary Team approach means coordination to enhance effective management and communication. Note that the PCP has historically been left out of the new multidisciplinary decision making that must be structured around the CV patient. PCP’s in charge – PHM promotes the role of PCP’s in managing chronic patients, directing referrals and managing CV patients as we move from fee-for-service to risk-based models. PCP’s will have financial incentives to manage patients longer before referring to a specialist. As a Cardiovascular Specialist, what do I do? Generalists and specialists will need to collaborate and work to delineate responsibility in patient management to achieve PHM goals. PCP’s will favor “high value cardiologists,” (see CFA Blog What is a “High-Value” Physician, posted September 11, 2015) as their partners. And, as a cardiac specialist, you must consider the PCP as your true partner in patient care. Who is most responsible and how will it be most effective? How will it be reimbursed within the context of new at-risk payment systems? What is the optimal relationship between the PCP and the cardiologist and how is this relationship optimally managed? While there are no definitive answers to these questions as of yet, CFA believes that the “high-value” physician is best positioned to take advantage of the evolving situation and exploit their role within the PHM model. As always, CFA welcomes your comments, suggestions and questions.